Experience this unique form of transport, likened to gliding on a magic carpet. 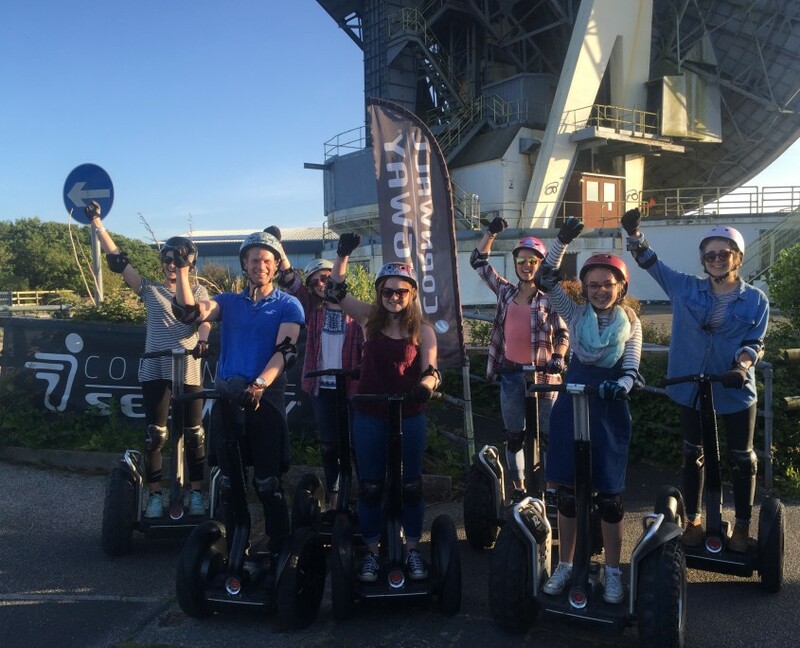 Why not book a Segway Experience for a group activity, we’ve catered for a variety of events and numbers up to 60 people! For a birthday parties, corporate days out and team building events, stag/hen parties, large family events and get-togethers and student events. Discounted group prices start from 10+ people. Enjoy the Segway with your colleagues in a stunning location. We can accommodate most group sizes and date/time requests. 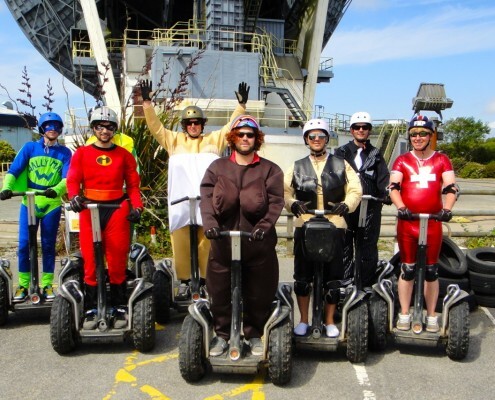 Usually with booking team building it’s difficult to find something to suit everyone – from our experience the Segways seems to solve this – not as off putting for some as quad bikes/go-carts but different enough to appeal to the more adrenaline fuelled people in your team. The experience will get everyone relaxed and laughing all the way. The end of the session will include some prize giving and certificates for all. 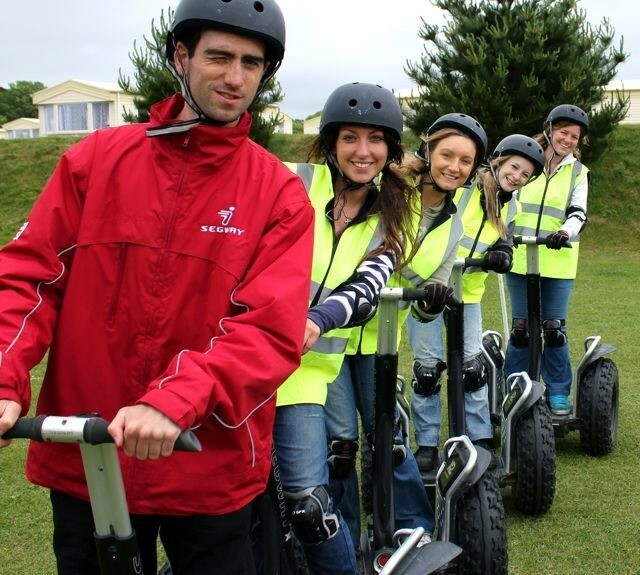 £30.00pp – we are sorry, but unfortunately no group discount can be applied at Clowance, but the Segway session will be longer (more like 90 minutes), so more Segway fun for the same price! NB. Segways and Archery group sessions may take longer the allotted time at both venues. For example a large Segway group at Goonhilly may take 2 hours, rather then the usual 90 minutes. The same applies for Archery and Segways at Clowance. Sessions particularly tailored for school groups, scouts and other young people’s organisations. Suitable for younger and older children (over 7 stones), we have carried out sessions from a handful of students to over 60. All the standard safety gear is issued for everyone, full training and supervision for all and great fun for the teachers and helpers as well!! The emphasis can be placed on the team games and races which really gets the different groups of children working and cheering together. The duration and cost can be tailored to suit your group and budget so please call or email to discuss. Full risk assessments and insurance details on request. You’ve done the paint balling, quad biking and zip wire, why not try something different. All the stag & hen parties have had a hoot, why not dress the lucky groom/bride in fancy dress as well!! You must weigh over 7 stones (45 kgs) and be under 18.5 stones (117 kgs). It is preferred that under 16s are accompanied by an adult, but if you can’t join in then a form can be signed if necessary. If you are pregnant, unfortunately you will not be allowed to ride the Segways. If you suffer from a serious health condition, please call us to check if it is safe for you to ride the Segways.